Event Menu: 18.95 or a la carte. 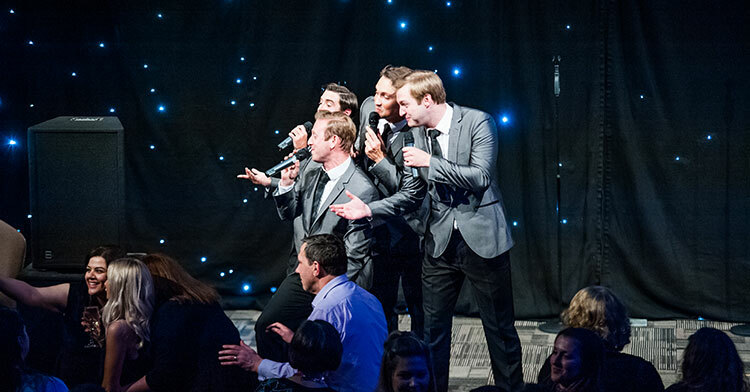 “Walk Like A Man” is a fantastic tribute to Frankie Valli & the Four Seasons. The Four Seasons rose to stardom in the 1960s with some of the greatest Rock ‘n’ Roll songs of a generations, pumping out classics such as “Sherry”, “Big Girls Don’t Cry” & “Walk Like A Man”. These tunes featured the sound of Frankie Valli, that sound of course is Valli’s falsetto, which dominated the airwaves of the time. The Band consisted of an all-male lineup and truly were one of the most talented acts of the ‘60s and ‘70s. They sold over 100 million records worldwide which landed them a place in the Rock ‘n’ Roll Hall of Fame in 1990.